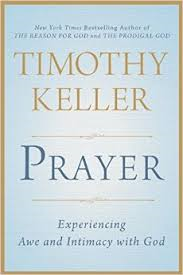 On the first Tuesday of every month the leadership team at our church discusses a portion of Tim Keller’s book Center Church. There are several goals, but one is that the reading on our own and then the discussion together as a group will help us think through the “theological vision” for the church as a whole as well as our ministries. This week we’re beginning the second major section of the book (City) and going through Part 3 (Gospel Contextualization). Here are a few notes from this section. Contextualization is one of those words that often elicits strong responses, at least if one understands the word. For some it’s the driver of everything they do so the word is music to their ears. For others, the concept is anathema and immediately causes a gag reflex. For more moderates who realize, first off, that any use of language means we all contextualize, and secondly, that it’s a helpful concept but not to be overdone as the driver of why and how we do ministry, in this case it simply becomes something we think about just enough to make sure we are contextualizing well and faithfully. 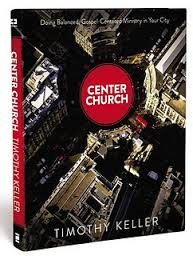 Part 2 then moves into City: “Center Church ministry is neither undercontextualized nor overcontextualized to the city and the culture. Because the city has potential for both human flourishing and human idolatry, we minister with balance, using the gospel to both appreciate and challenge the culture to be in accord with God’s truth” (87). Moving into what intentional, gospel contexualization is we’ll move straight to the money-quote where Keller defines and explains it. Contextualization is “giving people the Bible’s answers, which they may not at all want to hear, to questions about life that people in their particular time and place are asking, in language and forms they can comprehend, and through appeals and arguments with force they can feel, even if they reject them. The great missionary task is to express the gospel message to a new culture in a way that avoids making the message unnecessarily alien to that culture, yet without removing or obscuring the scandal and offense of biblical truth. A contextualized gospel is marked by clarity and attractiveness, and yet it still challenges sinners’ self-sufficiency and calls them to repentance. It adapts and connects to the culture, yet at the same time challenges and confronts it” (89). Some dumb this idea down to mean we should simply look, speak, and act entirely like our audience. David Wells helps clarify the idea for us. “Contextualization is not merely a practical application of biblical doctrine but a translation of that doctrine into a conceptuality that meshes with the reality of the social structures and patterns of life dominant in our contemporary life” (90). It’s getting into someone’s heart and mind, speaking into the intellectual questions and emotional hopes and fears they might have so as to speak truth to them in a way that they get it and see the beauty of it. It’s answering the questions people actually have in a way they’ll understand the answers, as well as creating the types of questions for people they aren’t asking but should be. Are there dangers? Like anything else, there are of course dangers. The goal is to see the oncoming dangers and to avoid them, which might just mean avoiding them while still taking the road instead of turning around and heading the opposite direction. • Compromise: “the values of a culture are given preference over the authority of Scripture” (92). • Syncretism: “This means not adapting the gospel to a particular culture, but rather surrendering the gospel entirely and morphing Christianity into a different religion by overadapting it to an alien worldview” (92-93). o Compromise or syncretism happens by not allowing the whole of Scripture to speak, so that we ignore, downplay, or deny non-essential teachings. o Compromise or syncretism happens when doctrines are abandoned one-by-one in order to adapt to our culture’s values. Liberalism (early 20th century). Machen argues Liberalism isn’t a version of Christianity but they’ve actually abandoned what Christianity is (historical beliefs) and are a different religion. Missions (globally or locally). The temptation is to offer a version of Christianity understandable enough or appealing to our sense and values that will either offer a different religion or confuse significant aspects of Christianity. Such as: Jesus as “Son of God” (global) or a gospel of deeds without words (local). Contextualization is adapting to the forms of a people (language, style, thinking patterns, expressions) to speak into the lives of people (beliefs, values, fears, hopes, aspirations) in order to communicate content (gospel, truth, Word) that people can understand (“this makes sense to me”) and want to embrace (“this explains me, my world, and God in a satisfying way”). It answers questions people ask, raises questions people ask, and allows to crawl into a person’s worldview both to show its shortcomings (what it can’t answer or doesn’t answer in a meaningful way) as well as to show the truth and beauty of Christianity (it does answer the questions my worldview didn’t answer and it offers the meaning, goodness, truth, and beauty I lacked).